Since wild celery is native to the Mediterranean, growers didn’t start cultivating the vegetable in eastern England’s wetlands until the early 1800s. But celery didn’t grow easily, which made it a luxury and all the more enticing for upper and emerging middle classes in the Victorian era. Naturally, those who succeeded in growing or obtaining the fickle vegetable wanted to show it off. Celery vases became status symbols. In the late 19th century, wealthy ladies used them as centerpieces, sometimes adding a special celery dish to serve cooked versions that wouldn’t hold their shape. 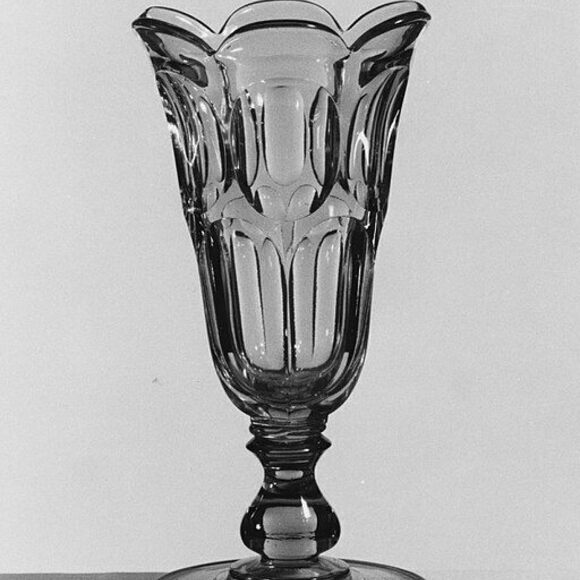 Glass-blown celery vases—featuring embellishments like fluted edges and often bearing the owners’ names on the bottom—made for popular gifts to newlyweds. Today, celery vases exist mainly in antique stores and museums. But given that celery’s making a comeback as a health food, perhaps the celery vase will, too. You can find celery vases in antique stores or museums. But if you want to simply show off your celery, any vase will do! To release steam, Victorian bakers placed whimsical ceramics in their pastries.